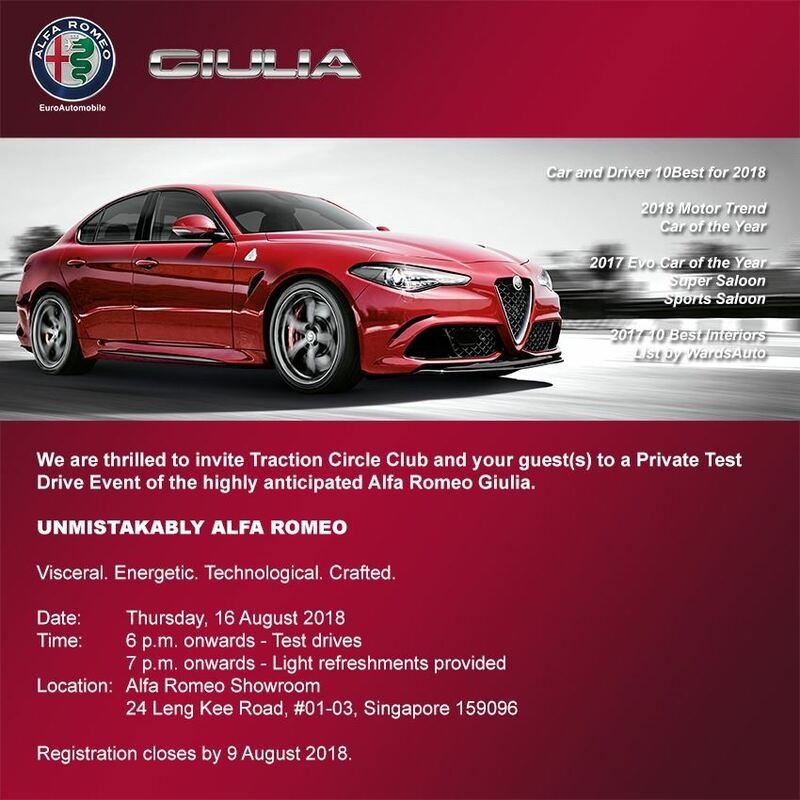 Traction Circle Club has teamed up with Alfa Romeo to give members an opportunity to test drive their highly anticipated Alfa Romeo Giulia! It gets better as TCC will also be giving away our 15th Anniversary Gift Pack consisting of exclusive Club Tee along with a proprietary members only Helmet Bag and Luggage Tag and other goodies. Please note that T Shirts (and sizes) availability is while stocks last and on a first-come-first-serve basis. No reservations and only self-collection allowed. Please produce driving license or IC for identification on day.